ACT-IAC offers its members a number of methods in which they might engage to maximize the value of their membership. 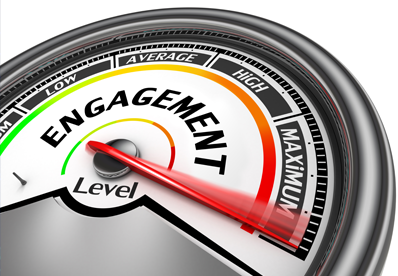 For more information about getting engaged, please email us at ACT-IAC@actiac.org. Where were you in 1979 when ACT-IAC started out? The Second Annual Health Innovation Day hosted by ACT-IAC is hosting a poster contest, entitled Paradigm Shifting Health Innovation, throughout the day with voting during the reception and awards. For any questions, contact cmiller@atiac.org. Tech Know Showcase and Partner Pavilion Exhibits will once again be a featured, core component of Imagine Nation ELC 2019 in October. The four hubs for Tech Know will be Modernization, Emerging Technology, Cybersecurity, and Health. Interested ACT-IAC member firms should submit an application for consideration. For more information, please contact Carol Miller at cmiller@actiac.org. Imagine Nation ELC 2019 Needs You! The planning for Imagine Nation ELC 2019 will begin soon and we are looking for volunteers! The ACT-IAC Institute for Innovation provides an objective and non-partisan forum for strategic thought leadership to advance government missions through the innovative application and management of information technology. Contact Mike Howell at mhowell@actiac.org for more information. ACT-IAC offers four exceptional professional development programs which are highly respected and noted throughout the government IT community. Those include Associates, Voyagers, and Partners. Graduates of these programs are uniquely qualified to advance to the next stage in their career. These professional development programs are only open to members of ACT-IAC. Participants are named through an application and selection process. Contact Casey Harris at charris@actiac.org for more information. ACT-IAC is committed to fostering the growth of small businesses and ensuring that they continue to play an important role in the government information technology marketplace -launched in 2014, the ACT-IAC Small Business Alliance focuses on the promotion of the interests and contributions of the Small Business community through programs and events designed to increase member engagement, enable stronger liaison across ACT-IAC offerings and provide an in-depth Community of Interest specific to the affinity of small business, tailored to the varying levels of maturity of our members. Ongoing Opportunity: Volunteer to Help the Small Business Alliance! As ACT-IAC sponsors, IAC member organizations promote their company and their commitment to the government IT community and the ACT-IAC mission. Sponsorships provide financial support for premier ACT-IAC events such as Executive Leadership Conference (ELC), Management of Change (MOC), Acquisition Excellence (AE), Igniting Innovation and ACT-IAC Forums - and provide significant value to our sponsoring member organizations. Contact Nicholei Jamero at njamero@actiac.org for more information. This is where government and industry officials work together to develop best practices, new solutions and innovative strategies to improve government through the application of technology. COIs are standing committees addressing specific issue areas and are often considered the heart of the organization. New community members are always welcome. Please contact Nancy Delanoche at ndelanoche@actiac.org. Ongoing Opportunity: Join our COIs anytime; click the links below for more info.